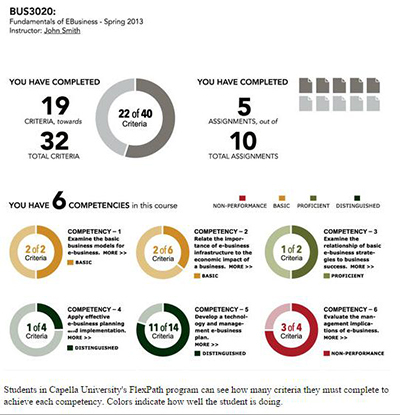 Capella University is a 2014 WCET Outstanding Work (WOW) Award recipient for the development of FlexPath. Deb Bushway, Vice President of Academic Innovation and Chief Academic Officer shares with us today the evolution of FlexPath from pilot to celebrating its first birthday as a program. Capella will accept their award at the WCET 26th Annual Meeting. 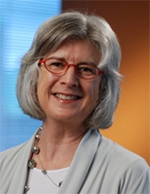 In May 2012, Capella University’s academic leadership made the decision to delve into the world of direct assessment. The impetus for our pursuit of designing a direct assessment program came from a conversation with leaders at the U.S. Department of Education regarding barriers to innovation. They recommended that we leverage the Federal Department of Education’s Title IV eligibility language introduced in August 2006, and finalized by the department in November of that same year to explore our options for introducing direct assessment programs. As the process rolled out, it became clear that we also needed to acquire approval from our regional accreditor, the Higher Learning Commission, to begin development of direct assessment courses citing this portion of the Title IV. It is important to note that all curricula at Capella University are competency based. These academic programs are still rooted in courses and comply with seat time (and other) requirements for credit bearing distance education. This curricular base provided a great starting place to move to a competency-based, direct assessment delivery model. Initially, we started with a pilot to help us understand the learning experience in a self-paced delivery model. The initiative was simply referred to as the Self-Paced Course Pilot. We based these courses on the infrastructure built to support our credit-bearing programs. From the onset of design and development of these courses, we have taken a very faculty-driven design and delivery approach. The faculty chairs from both programs worked directly with our instructional designers, curriculum specialists, assessment specialists, and project managers as we built a self-paced course experience that would be as rigorous and engaging as our more “traditional” online credit-bearing model. The team worked very closely together for many months with a goal of offering four courses from each of the two programs in early January 2013. Concurrently, we built out a support structure for our learners to be able to achieve the necessary competencies to successfully complete each course in a self-paced format. After countless meetings with faculty, advising staff, and a host of other contributors, we arrived at a three-pronged support structure. This learner support structure consists of traditional faculty, tutoring faculty, and coaching faculty. In traditional credit-bearing delivery models, these three support roles are often integrated into the work of a single faculty member. With this new architecture of the faculty role, extensive training was necessary for the individuals who took on these new functions. Capella faculty chairs chose select faculty members from our traditional programs to pilot this new approach to teaching and learning. These faculty members then led the work to articulate competencies, align the criteria through which to assess competencies, design the authentic assessments, and serve as the evaluators of learners’ demonstration of competency. The tutoring faculty are aligned to particular “clusters of competency” (or courses) and are content area experts. Many are enrolled in our doctoral programs at Capella University and have demonstrated success in the relevant content area. One reason for this design is that our research indicates adult learners prefer seeking help from peers rather than the traditional faculty. Finally, the coaching faculty team was formed. This team came from among our traditional advising teams, although this model is significantly more proactive and engaged than the traditional advising model. Each learner is assigned a coaching faculty member who stays with that individual throughout his/her experience at Capella. The third major component in developing FlexPath was to align Capella’s technology infrastructure to accommodate the needs of a competency-based direct assessment delivery model. There are many unique attributes to FlexPath that our systems simply were not designed to accommodate. These attributes range from not having any course level grades to not being able to transcribe individual competencies for each course. Other technological areas needing alterations included our learning management system, our institution’s learner website (iGuide), and our student administration system. We needed to accommodate these attributes without making permanent changes to our systems, not knowing if the direct assessment delivery model would be accepted widely enough to make permanent changes a worthwhile endeavor. Additionally, the university’s catalog, policy, and external communications needed to reflect all of the changes needed to deliver FlexPath. The entire initiative took dozens of people and thousands of hours’ worth of work before a single learner was enrolled into a FlexPath course! All in all, FlexPath has been and continues to be an exciting endeavor. We have been honored with several awards for our efforts, most notably, the WOW Award from WCET, along with Blackboard Learning’s Innovation Award and the NUTN Award for Innovation in Distance Education. FlexPath will soon be celebrating its first birthday. 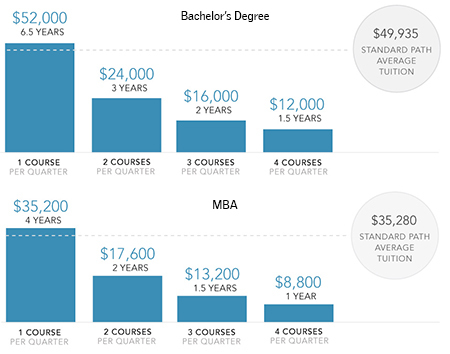 There are now a total of six degree programs offered in the FlexPath model. As the FlexPath program expands, so does our knowledge base for developing high-quality, competency-based direct assessment programs. With that said, we identify opportunities to enhance FlexPath on a daily basis. As more and more universities take on the challenge of implementing this type of program, we look forward to the opportunity to participate in a larger community of practice around direct assessment to further address the needs of 21st century adult learners and employers. Learn more about the first year of FlexPath on November 20th at 9:45am during #WCET14.